U.S. sales of pickup trucks grew 12% to more than 232,000 units in April 2016, a rate of expansion that more than tripled the growth rate of the overall auto industry. 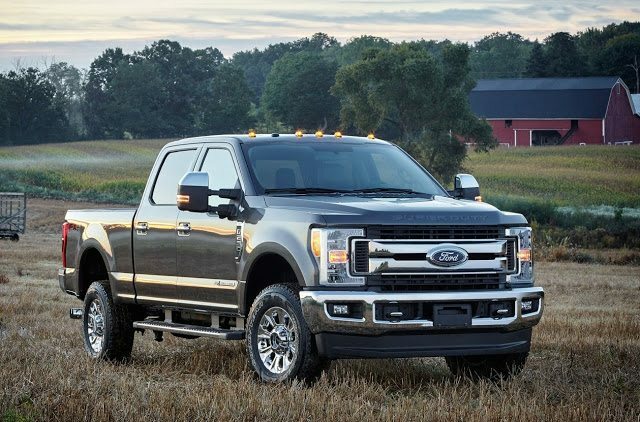 Ford’s F-Series, the leader among full-size trucks, pickup trucks overall, and overall new vehicle lines, jumped 13% to 70,774 units, the second consecutive month above 70K. Although 2015 ended with GM’s full-size twins, the Chevrolet Silverado and GMC Sierra, outselling the F-Series for the first time since 2009, April 2016 was the 58th month out of the last 80 in which the F-Series outsold the GM twins. Another pair of GM twins, the Chevrolet Colorado and GMC Canyon, had a huge month with 13,388 sales. This was still well back of the midsize class-leading Toyota Tacoma, but the Colorado’s 48% gain pushed it ahead of Toyota’s full-size Tundra, while both the Colorado and Canyon achieved in April their highest monthly output since returning in late 2014. April was the new Canyon’s first month above 3000 units; the new Colorado’s first five-digit sales month. You can click any model name in the table below to find historical monthly and yearly U.S. sales data. You can also select a make and model at GCBC’s Sales Stats page. This table is now sortable, so you can rank pickup trucks any which way you like. April best seller lists for cars and SUVs will be published soon.